This example estimates and predicts an VAR(2) model in GAUSS using simulated data. It demonstrates usage of varmaFit and varmaPredict. Because this model is strictly a VAR model, the only additional input after the data matrix is the AR order. 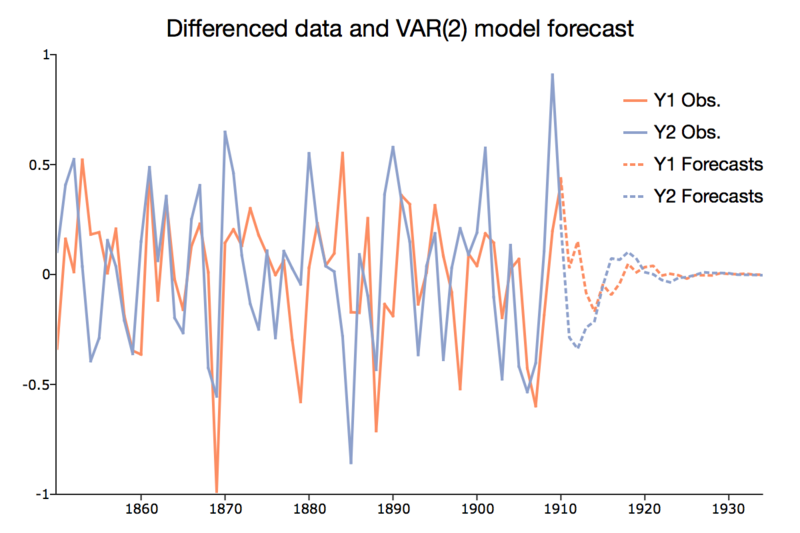 Below is the full code to produce the graph of the forecasts shown at the top of this page.